James Churchward (1851-1936) is probably best known for his series of books on the Lost Continent of Mu in which he postulates that the Garden of Eden was on a now sunken continent in the Pacific Ocean. This post is not about lost continents or prehistoric civilizations, but examines his early work as an author of books on fishing. When James got to the United States in the 1880s, he worked as a salesman on the railroad in the Northeast United States. He also began to patent some of his inventions pertaining to the railroad. These inventions included spikes and wear plates. His association with the railroads provided the opportunity to travel through the Northeast and engage in two of his favorite pastimes, fishing and hunting. In an earlier posting entitled, “A Big Game and Fishing Guide to Northeastern Maine,”, his 1897 work for the Bangor and Aroostock Railroad was discussed and mention was made of his 1894 work entitled “Fishing Among the Thousand Islands” as a work that I one day hoped to see. Thanks to the generosity of one individual, the work has been scanned and I have a copy that was published by the New York Central and Hudson River Railroad. 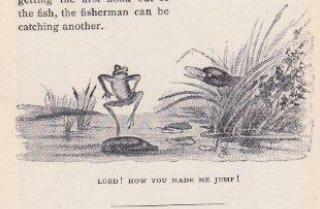 “Fishing Among the Thousand Islands” appears to be James’ first published work and like the later “A Big Game and Fishing Guide to Northeastern Maine” was done in support of encouraging people to ride the railroad to engage in recreational activities in the untamed wilderness. Unlike the later work, James only covers fishing in this one, and his love of the sport is clearly evident in both. In chapter 1, James sets the stage by describing the St. Lawrence River and the scenery in alluring terms, surreptitiously beckoning the reader to escape to the unparalleled beauty of nature and revel in the experience called, “The Fisherman’s Paradise.” He describes the entire enterprise, from the ever changing loveliness of the scenery in the safety and comfort of the St. Lawrence skiff, to the consumption of a lazy gourmet meal and the enjoyment of a cigar, followed eventually by the inevitable exchange of experiences after one reaches shore. After reading this, one might wonder if this is what is called heaven. Chapter 2 starts the intelligence briefing about the expected targets of the leisure-time endeavor, allowing that a great many types of fish are present. 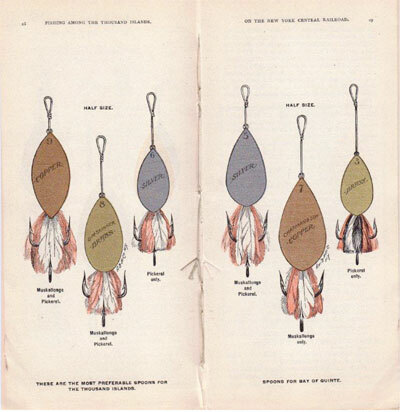 The reader is informed that the true game fish to pursue are the Pike Proper, Black Bass, and Muskallonge, followed by an entire chapter devoted to the description of each, how to hook them, and keep them on the line until they are in the boat. His narrative is chock full of examples that lets the reader know that James did not go fishing a couple of times before he wrote this work; his skills and the advice he offers was crafted through years of diligent practice and experience. Next is presented a primer on fishing tackle with the inside information that brings you up to speed on the hardware requirements of your mission to ‘Fisherman’s Paradise.’ James discusses lines, hooks, rods and everything else required to be correctly outfitted, he even includes a list of the contents of a Muskallonge tackle box at the end. The final section discusses the best places to find the Muskallonge, as James mentions they are not to be found throughout the St. Lawrence River. He provides charts and descriptions of the nine best Muskallonge ‘fishing holes’ on the St. Lawrence in the early 1890s. Like many of his subsequent written works, James also provides the illustrations for this work, some which have graced this article. 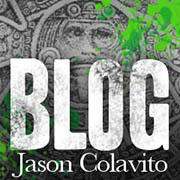 To follow-up on the subject of ‘books I’d like to see,’ I must again thank my internet compatriot, Yannis Deliyannis, for his generosity in providing a scanned copy of “Copies of Stone Tablets Found by William Niven at Santiago Ahuizoctla near Mexico City.” I hope to make an announcement in the near future concerning the publication of “Lifting the Veil On Copies of Tablets Found by William Niven.” The new book contains the complete contents of the original, never before seen book plus accumulated research that shows each of the tablets as they appear and are translated/interpreted in James’ other works. Another manuscript remains, so far, as the next one I want to see. It is called, “Mu’s Colonies and Colonial Empires” and while I have been lucky enough to see a few pages, I am hopeful that in the future, the current owner will allow the manuscript come to light.